The transcriptome is the entire assembly of RNA transcripts in a given cell type, including protein-coding and noncoding transcripts. Transcriptome sequencing (RNA-Seq) is a recently developed technology that uses high-throughput sequencing approaches (next-generation sequencing or NGS) to determine the sequence of all RNA transcripts in a given specimen. This chapter provides an overview of the development and technical background of transcriptomics and the advantages and limitations of RNA-Seq. This technology has rapidly increased our understanding of gene expression profiles of various cells and tissues and is allowing us to better understand alternative splicing and the functional elements of the genome and to identify single-nucleotide variants and new fusion transcripts in cancer. We also review current and potential clinical applications of RNA-Seq technology in inherited, chronic, neoplastic, and infectious diseases. The authors would like to thank Karen Prince of Texas Children’s Hospital for her help with the design of the figures for this chapter. National Human Genome Research Institute. Clinical Sequencing Evidence-Generating Research (CSER2) 2017 [updated 08/08/2017]. 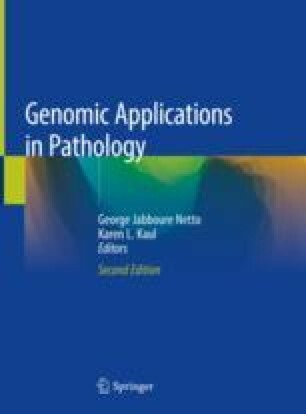 Available from: https://www.genome.gov/27546194/clinical-sequencing-exploratory-research-cser/. Babraham Bioinformatics. FastQC 2010 [updated 01/10/2018]. Available from: http://www.bioinformatics.babraham.ac.uk/projects/fastqc. Hannon GJ. FASTX-Toolkit 2009 [updated 02/02/2010]. Available from: http://hannonlab.cshl.edu/fastx_toolkit/index.html. Broad Institute. Picard [Available from: http://broadinstitute.github.io/picard]. National Center for Biotechnology Information. Sequence read archive [Available from: https://www.ncbi.nlm.nih.gov/sra]. National Center for Biotechnology Information. Gene expression omnibus [Available from: https://www.ncbi.nlm.nih.gov/geo/]. Lukas Paul PK, Horner G, Ante M, Hollaender I, Alexander S, Reda T. SIRVs: Spike-In RNA Variants as external isoform controls in RNA-sequencing. bioRxiv. Posted October 13, 2016. https://doi.org/10.1101/080747. National Institute of Standards and Technology. ERCC 2.0: developing a new suite of RNA controls 2017 [updated 02/17/2017]. Available from: https://www.nist.gov/programs-projects/ercc-20-developing-new-suite-rna-controls. Poplin R, Ruano-Rubio V, DePristo MA, Fennell TJ, Carneiro MO, Van der Auwera GA, et al. Scaling accurate genetic variant discovery to tens of thousands of samples. bioRxiv. Posted November 14, 2017. https://doi.org/10.1101/201178. Adam M, Ardinger H, Pagon R, Wallace S, Bean L, Stephens K, et al. GeneReviews®. Seattle: University of Washington; 1993–2018. Available from: https://www.ncbi.nlm.nih.gov/books/NBK1116/. National Cancer Institute. NCI-MATCH [Available from: https://www.cancer.gov/about-cancer/treatment/clinical-trials/nci-supported/nci-match]. Clinical Sequencing Evidence-Gathering Research Consortium. KidsCanSeq [Available from: https://cser-consortium.org/projects/27].